Take payroll and taxes off your to-do list.All your payroll needs,with new, lower monthly pricing. Work for QuickBooks Online Payroll? Learning about QuickBooks Online Payroll? "QuickBooks Online Payroll is Easy and Fast"
QuickBooks Online Payroll is AMAZING! You just put in the hours or salary, and they take care of the rest. They notify you when a report needs to be submitted, and it is ready to be sent. They take care of all the government forms, and the employees get their money by direct deposit. It is amazing, and you'll never miss a required State of Federal payment or required report. There is nothing to dislike. It is amazing! You will love this product for payroll. It saves you time, money and frustration. The customer service for the QB Online Payroll is superb. All reporting, payments, etc. are taken care of online, and QuickBooks reminds you of when they are due. You just then select for them to be sent. The reports are all done and are professional. You don't have to pay your CPA to prepare the reports and then have to go to his office to sign the reports or write a check. This software is essential for any person who chose bookkeeping as their career. The best aspects of this specific branch of the Quickbooks software are the tutorials for anyone learning to use it for the first time, the ability to learn how to do payroll from a bookkeeper's standpoint and the way it was designed to be understood and not to confuse you. There were very few things, if any, that I can say I ever disliked when I was using this software. I was able to efficiently prepare and execute payroll and it also allowed me to train fellow employees how to do the same. All in all, there is nothing to say that I disliked. 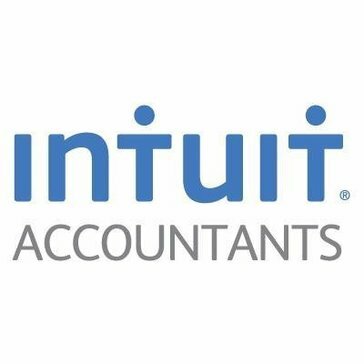 This is a great extension of the popular Quickbooks bookkeeping software and I highly recommend any business or individual who is involved in the financial field to take this software for a spin and see how their own businesses can improve. I was able to prepare payroll for clients using an extension of a program I had already familiarized myself with as a bookkeeper. Benefits include being able to meet deadlines and to be reminded of which ones are approaching. Easy to use for the smallest of smallest business owners. I can also match all my tax payments to payroll tax expense without having to make journal entry. I wish there was more confirmation and notice that the payroll tax returns were actually filed. Make sure you have someone that knows payroll double check what you are doing. Quickbooks Online Payroll allows small business owners to take control of their own payroll and do it themselves. This is a great option for those who do not want to outsource to a large payroll company that does not give them the attention they desire. "Much slower than desktop version"
Easy to log in from anywhere. There are a lot of good and robust features. Online version is much slower than desktop version. Depending on the speed of the internet connection, it can be a really slow process. Entering data isn't such a big deal but when you are trying to chase down a problem and jump around within the data, that's where it gets really frustrating. For most tasks, QuickBooks does not require users to understand standard accounting procedures. Most transactions are recorded using on-line screens that closely resemble paper-based forms such as invoices or checks. The product is very easy to install and can be done so without technical support or a professional accountant in many cases. "Great product but Expensive!!! " Great product but Expensive!!! Get everything I need done very quickly and easily. Too pricey though! "Very Easy to Use, User-Friendly"
I wish there were pop-ups that let you know when you were making an error. Sometimes I enter things completely wrong (too many zeros, the decimal points in the wrong places) and I wish the program could give me a heads up if things don't look right. Do it! It saves time and money! I am solving the problems of paying employees and recording the payroll efficiently. Benefits include saving time and money! "This program makes payroll so much easier." I like that this program is very easy to use and helps get all the payroll done smoothly and successfully. This is the best payroll system we have used to far. Sometimes the program runs slow or gets stuck, but is very easy to use once fixed. The program helps make things easier and faster, so we don't have to enter everything in manually or by hand. "Great tool for accountants to use for company benefits"
"One of the worst web base product in the world." I can't think of why I used this piece of poorly written software in the first place. Maybe, it don't have a competitor in the market? QBA is one of the worst product I have used so far. It is slow, and it hang frequently. The loading time could be a bit slow and laggy. The opportunity to work within Quickbooks and process payroll. The cost of the service. I think they are defiantly on the higher side of pricing. * We monitor all QuickBooks Online Payroll reviews to prevent fraudulent reviews and keep review quality high. We do not post reviews by company employees or direct competitors. Validated reviews require the user to submit a screenshot of the product containing their user ID, in order to verify a user is an actual user of the product. Hi there! Are you looking to implement a solution like QuickBooks Online Payroll?